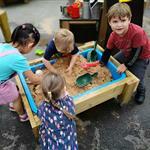 Introduce a Moveable Sand Table into your Nursery setting. 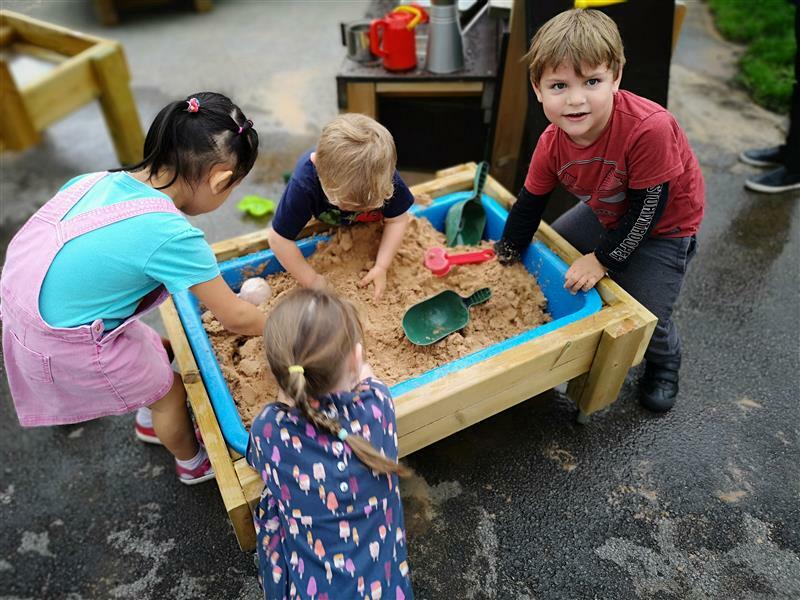 This sturdy Sand Table with lockable wheels allows all children to play while standing; reducing feelings of frustration and enabling children to become more inclusive and cooperative. With the lockable wheels, the table can easily be moved to any area of your Nursery Garden while ensuring it is always secure for the children to play. 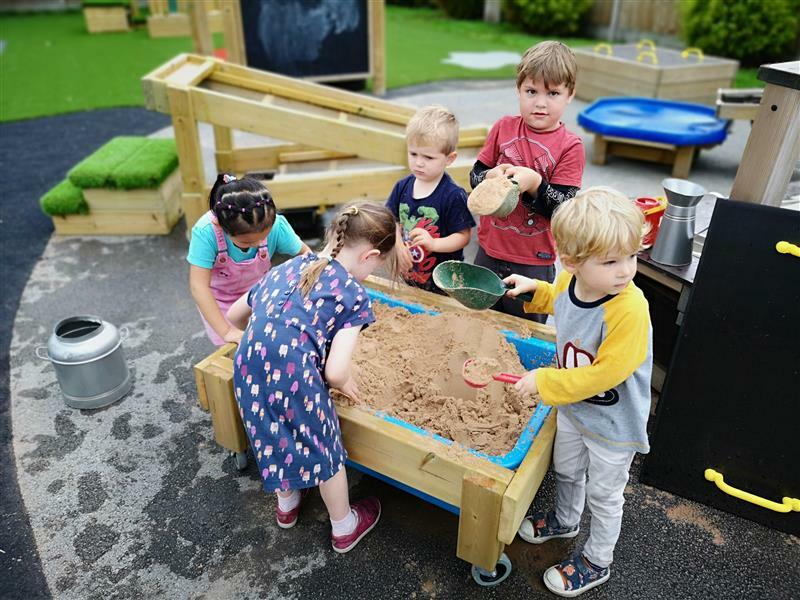 Young children will begin to develop their sense of touch and allow their imaginations to run wild as they begin to create their own games, developing language and communication skills as fictional characters are brought to life through imaginative games. 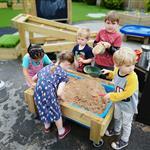 Through the manipulation of sand, using their hands or a variety of tools, children's fine motor skills develop further. Ideal for creative messy play when children dig for buried treasure or discover dinosaur fossils!